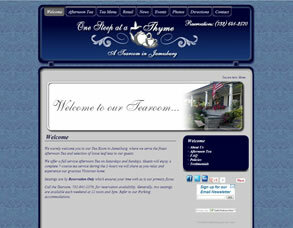 This local teashop came to rytechsites to create a look of elegance. One of the most important features is the photo gallery, where we display different views of the house, teas and products that they showcase. This photo gallery is easy enough for the owner to add and edit on her own.